Serial Concept: A mythological epic based on the courage, magnanimity and prowess of Khandoba (fondly known as Malhar) the warrior deity of Maharashtra from Jejuri has enthrall the hearts of the whole of Maharashtra. Khandoba is considered to be reincarnation of Lord Shiva and is been portrayed as a God of love, and a symbol of superpower and excellence. First time ever has such a TV serial been made on the life of God Malhar to be telecasted on a Marathi TV channel. Watch Jai Malhar on Zee Marathi every Mon - Sat 07:00 pm. 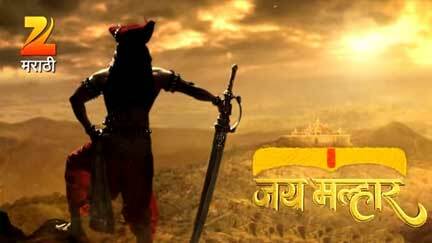 Watch Zee Marathi Serial Jai Malhar episodes and videos online. Please 13aug uploadPankaj BhorYalkot yalkot jai malharSamdipserisl onSambhajiserialliekemalsaTusharPlease upload 19th July episodeAnjalikulkarniJai malhar is very great serialsAnjalikulkarniJai malhar is very great serialsToms Sko Stã¸rrelse: Toms Skotogether a single proposal to submit to the state, outlining a group of reserves with varyingAshok SalveYalkot Yalkot Yalkot.Jay Malhar.Sada Nandacha Yalkot.Ajaylay bhari malikaDnyaneshwar Sherkar Patil BelpimpalgaonI like serial jay malharDnyaneshwar Sherkar PatilI like serial jay malharAjitSuperb show . Peple geting rise n fall experience of life.d real fact of life. marathiserialsAjitSuperb show . Peple geting rise n fall experience of life.d real fact of life. my fevrit serialMeeraI am from Mysore. When I came Panderpur Vittala temple I stayed at a friends place. They were hooked to Jai Malhar show. After coming back to Mysore I turned on Marati channel to see if this show was broadcast here .Lo and Behold! It sure was. Ever since then our family watches the show daily. I like the cast immensely. Good luck to allKajalYalkot yalkot jai malharParesh GhogaleJai. Malhar. Marathi. Serial. Is very. NiceMahesh DeshmaneI like jai malharKomal MuranjanI like this serial very much.I never miss any episode.I like this song too muchKomal MuranjanI like this serial very much.I never miss any episode.VishalJay malhar shiv malharRavi Panchal Laturjay mlhar my all family so likeVanu ManeSupb title song. JAY MALHAR hi serial khup sundar aahe.Hi serial taiyar kartana khp lahan lahan goshti lakshat ghetlya aahet tyamule serial mdhe kadhich atishyokti watat nai shivay amhi swata PALI jval rahat asun aamhas mahit navhate ki malhar he swarup multa jejuriche asun tyancha vivah palit kasa ky zala.so mi serial makerche khp aqbhar mante ki ya serialmule aamchya dyanat bhar padliMohan .m.abhangi like jai malharMohan .m.abhangi like jai malharSwapnil Waghvery nice & l love songBhushan MhatreI like jay malhar..Vaibhav MirajkarI like naradmuniAmar Shivaji DhengeJai MalharDevchand.koliDear sir. mahesh kothare is brilliant producer. 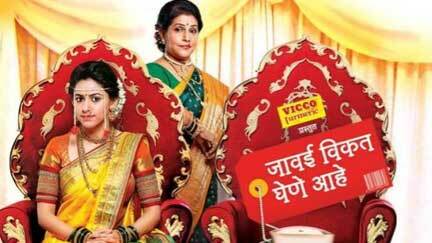 devdatta nage & sourabhi hande is very nice.Paresh GaikwadHow I can download the jai malhar episodePoonumJai malharTanuekdam zakas so nice serial & casting are awesomePrashant Gaikwad(maratha)...I like this serial & I like all actorss...Vasantjai malharSheetalHey where to download the title song from? ?Prasad Waychalnice entry for ganesh.I like ganpatiMonika Sonawanenavin pradhaji na far surekha acting jamte.BabasahebKhup chan song aahe.......sir.......Shahnaznice serial so likeSonalia like song & nice serialMohini Kamblejust an awesome serial khandoba(Devdatta Nage) is my fav. character in this serial banu is also very nice her language is very niceVikas GuravNice serial &tital songShivraj Sawant . 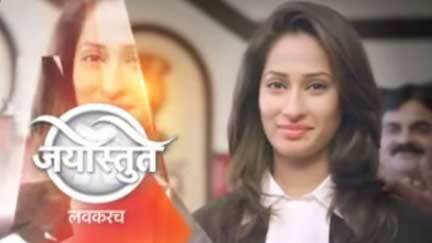 Kudala like serialPooja Sakpalnice serial...i like this serial,& deva u r my fav. starSagar Khairaokari like Title songSandeepThe page content... Good formalities and serials such a jai malar has very marblieous...view along public..... Such a serial create good emotional and more attractiveness among people.....AshwiniJai malharAshwini KharatSeryal nikalna he to yese nikalo jai malharRasika ShindeI like banu and khandoba tu much 1 number yelkot yelkot jay malar.I want to meet them .Nitesh PawarEksath bola jai malharNamdas Sandip EknathIt very good serieal jay malharDiptia like songWebmasterIt takes time, as only when the videos are officially been made available online by the respective contents owners we can embed them on our website. Marathi TV Channels normally delay it putting online as the same TV serial episodes are to be telecast-ed in some other part of the world which have a different time zone and may be ahead of us.SatishHi i am from pune,i want to know that why it takes so much time to upload latest episode on this site..Anil KurlekarI am in Texas, USA.I want to watch Jai Malhar on line, but I get the message that this video has not been uploaded in this country.